IN one of his first acts as PBA commissioner, Chito Narvasa banned Spin.ph contributing writer Snow Badua from the pro league's games and activities for what he termed as 'irresponsible and deplorable actions' against Barangay Ginebra governor Alfrancis Chua. 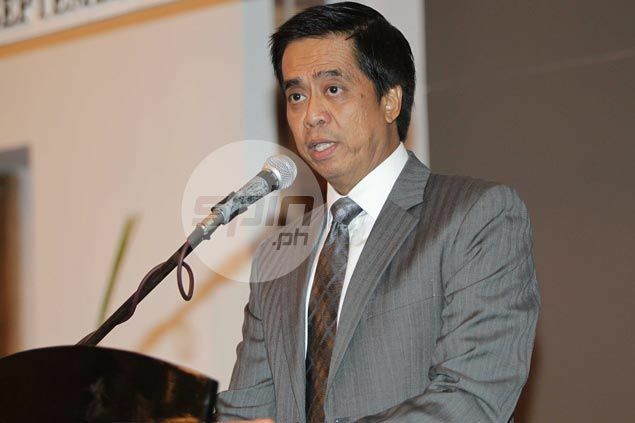 Narvasa handed down the ban in a letter sent to Badua on Friday night, citing tweets the television host and writer made which the PBA commissioner said were meant to 'malign, embarrass and mortify a person of this association' in the person of Chua. Upon his own investigation, Narvasa said he concluded the content of the posts on Twitter were unfounded, adding these were only the "concoction of an evil and malicious mind." "Your irresponsible and deplorable action reveal an evil intention to gain support from the legion of fans of three PBA teams in order to cause embarrassment, incite anger and provoke hatred on Mr. Chua," said Narvasa. Curiously, a draft of the letter, unsigned by Narvasa but with exactly the same content, was already leaked to social media even before the official letter was hastily served to Badua on Friday night. At the same time, Chua, a former coach of Ginebra who succeeded Narvasa as head of the Basketball Coaches Association of the Philippines (BCAP) upon his assumption to the commissionership, declined when Spin.ph's PBA beat writer sought permission to cover Ginebra's practice. Asked why, Chua cited an order that he said was made by Star governor Rene Pardo, who, according to SMC media officers, has barred Spin.ph from the Hoshots' practices unless he gives explicit permission. SMC officials have given no reason behind the decision, which came just days after Spin.ph ran two stories about a claim made by model Abby Poblador in a popular radio program that she had an affair with Chua. Chua also declined comment when asked about the allegation. Spin.ph has sought an explanation from SMC media officers about the decision, but has yet to get a reply as of posting time.